I need the FP-90 for very different purposes. These range from practicing at home, to recording, bar-piano, singer accompaniment, to use on stage (jazz). In my opinion, the FP-90 is ideally suited to cover these areas. Sound: I only need piano and e piano sounds for my purposes. The piano sound is outstanding through physical modeling. The fact that this was not sampled makes the sound very complex and fresh. The ear does not tire even after long play. 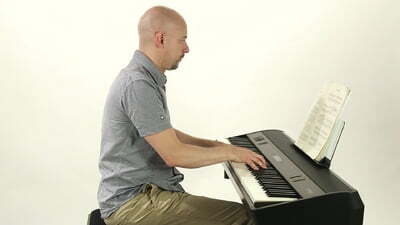 However, only a few pianos are modeled, the rest is based on conventional sample technique. Keyboard: The keyboard provides an excellent feel. Sensitivity can be regulated in 100 (!) Steps. With a setting in the upper quarter can be extremely dynamic act. Speakers: The built-in speakers sound fine for their size. The best way to enjoy the sound is to use headphones. For small events, singer accompaniment, etc., I find built-in speaker but very convenient. Even if you just want to hear something out for a moment. On small stages, they often also serve as a monitor. Usability: The controls are very reduced and the display is small. This makes the piano look simple and elegant. However, sometimes you have to dig through the menus. Alternatively, you can also control the piano via smartphone and app. The sound modeling offers many settings. Not quite as many as the V Piano or the RD2000. Conclusion: Anyone looking for a portable piano with excellent sound and playing characteristics will find it here. The piano sound and the keyboard correspond to the much more expensive RD2000. If a piano is "pure", that's right. -To start the action of the keys is very good and with a fairly wide dynamic range. The mechanism is of great quality. 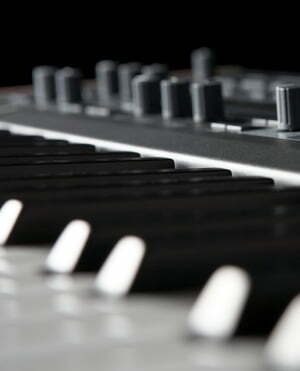 -The overall sound is pretty good, in line with Roland's latest high-end keyboards. -Integrated speakers sound great, very good quality but have an audible background noise if you get too close to the speakers. -With the configuration that comes by default, for my taste, you have to modify the intensity of the media a bit. The piano designer app helps a lot to configure the sounds, offering many possibilities. Even so it is difficult the sound is identical to the acoustic piano, but in some points it is quite close. -I miss a little more variety on acoustic, electric and organ pianos. Still the sounds in general are pretty good. -The background noise in the speakers is a rather unacceptable fault for a keyboard of this range and price. Conclusion: a piano with many possibilities such as Homekeyboard, piano accompaniment or ambient (with integrated speakers) and as piano scene (possibility to connect to PA System or Active Speakers). A pity the background noise from the speakers (negative point remarcable).